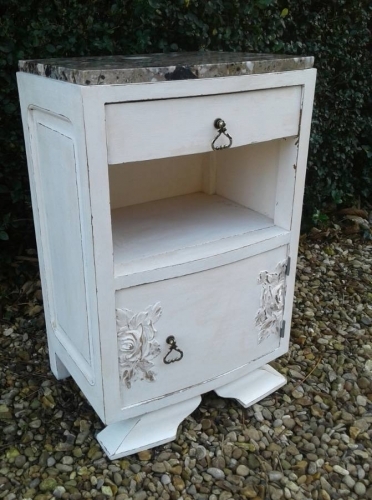 This gorgeous vintage French pot cupboard bedside with a marble top in Art Deco style, has been lovingly restored in Grand Illusions 'sel de mer' with an antique wax finish. This would make for a perfect bedside, with fantastic storage. Please contact David on 07976 818195 if you are interested in this item.